The quest for a state golf championship begins today. 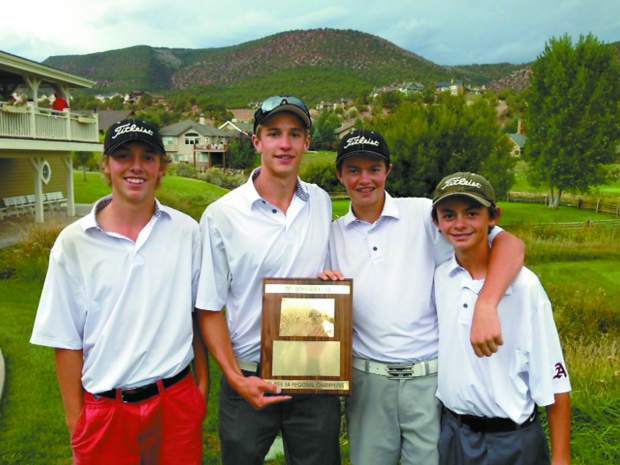 High school golfers from Aspen and Basalt will play practice rounds today at the Pueblo Country Club in advance of the two-day Class 3A State Golf Championships, set for Monday and Tuesday in Pueblo. “We’re planning to play two practice rounds,” Aspen senior Clayton Crawford said this week as the Skiers’ team prepared for the 36-hole championship event. 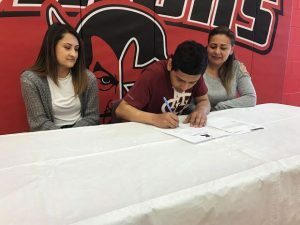 Crawford, who will be playing in his fourth consecutive state golf championship, said the Skiers worked on a lot of putting to get ready for what are expected to be lightning-quick greens at the historic Pueblo Country Club. 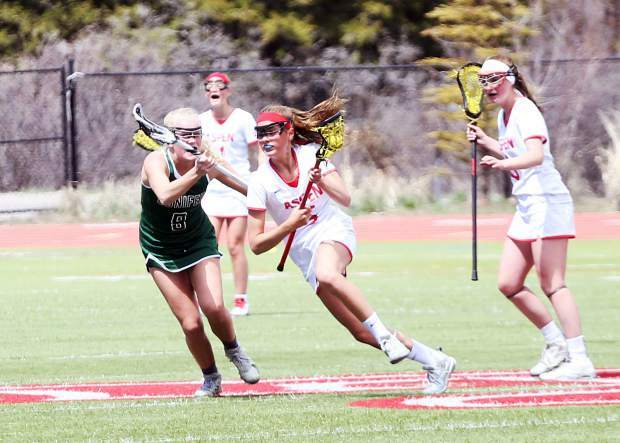 The Aspen senior, who led the Skiers with a solid 76 at the regionals, said the Pueblo Country Club course is shorter than many courses the high school players see. Precision golf will be the order of the day, he said. “It is a shorter course. There won’t be many drivers … more 4-irons and 3-woods,” he said of the course that is expected to reward golfers with precise placement. “Some of us (Skiers) are long (off the tee), and we use that to our advantage. But I think we are also capable of playing (strategic golf),” he said. “We can play like that, and Will (Hazen) is probably the most precise golfer in the state. Hazen shot a 77 at Gypsum Creek to help the Skiers win the regional championship. Teammate Patrick Martin shot an 81 in the challenging conditions at Gypsum Creek. Trey Robinson rounded out the Aspen players at regionals with an 88. He’ll be on course today and again Monday and Tuesday when the scores count along with Crawford, Hazen and Martin. 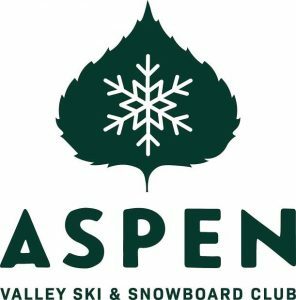 The Skiers will be joined by a pair of familiar players from Basalt, the team that won the Aspen Invitational this year at River Valley Ranch Golf Course in Carbondale. Tristan Rohrbaugh and Peter Steckler qualified as individuals to represent the Longhorns at the state championships. Rohrbaugh won a handful of prep tournaments this year, including the Eagle Valley Invitational at Gypsum Creek earlier in the season. She said the Skiers have been working on low shots, punch shots. 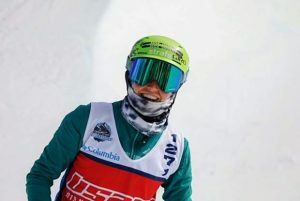 “It’s going to be a controlled-ball course, especially if it’s kind of windy,” Woulfe said, adding that the Skiers progressed to play their best team golf at the end of the season. 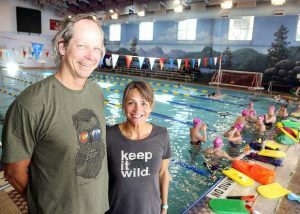 She said the Skiers will have to play with a purpose at Pueblo. She said the Class 3A field is up for grabs this year with more balance that in some previous years. Kent Denver nearly missed qualifying as a team, but ended up with a full squad with the addition of regional alternates. Similarly, Vail Christian will field a strong team at state again this year, Woulfe said. She said that importance of team balance is key at a state championship event. She said the experience of past state events also should help. “Will and Clayton both have been in contention; they understand it,” she said. Another key factor, Woulfe said, is a team’s ability to learn from the opening 18 holes Monday and make adjustments for the second 18 holes Tuesday. The Pueblo Country Club course was established in 1903, one of the earliest private golf clubs on the southern Front Range. The course will play at 6,500 yards for a par 35-36—71.